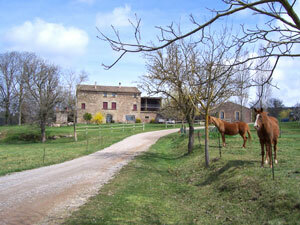 Tour to Perafita by btt. Perafita is a beautiful and small village of the lluçanès surrounded with forests where we will be able to enjoy the making nature a turn with btt for the area, while going to Olost, St. Bartomeu del Grau, Sant Boi de Lluçanès and for the Space of Natural Interest of the Stream of Sorreigs. 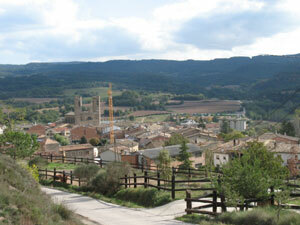 To arrive at it, we can come from Vic for the BV-4601 passing through St. Bartomeu del Grau. Route: We pioneer the outgoing itinerary of Perafita for the Road BP-4653 in Olost direction, on kilometer 7.5 we will leave the road and will take a path in the left which it will avoid for us to make more asphalt until arrives to the known zone like the "Sanatori", on BV-4405 road. We will make some meters for this and we will turn to the right. 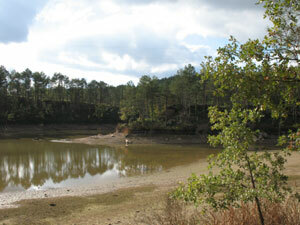 We will follow the main path of slope until the Reservoir of the Gavarresa that we will border. We cross Riera Gavarrera for a step of stream and once crossed we will find a path in the left that we will follow, now of rise. We will always follow the main path until arrives to Olost. From here we will follow the btt route with starting point from Olost as far as Sant Bartomeu del Grau that follows very well signposted paths and with light rise. Before arriving to Sant Bartomeu del Grau we will turn to the left and we will continue the btt route that with a strong slope it will carry us to the Space of Natural Interest from the Stream of Sorreigs. 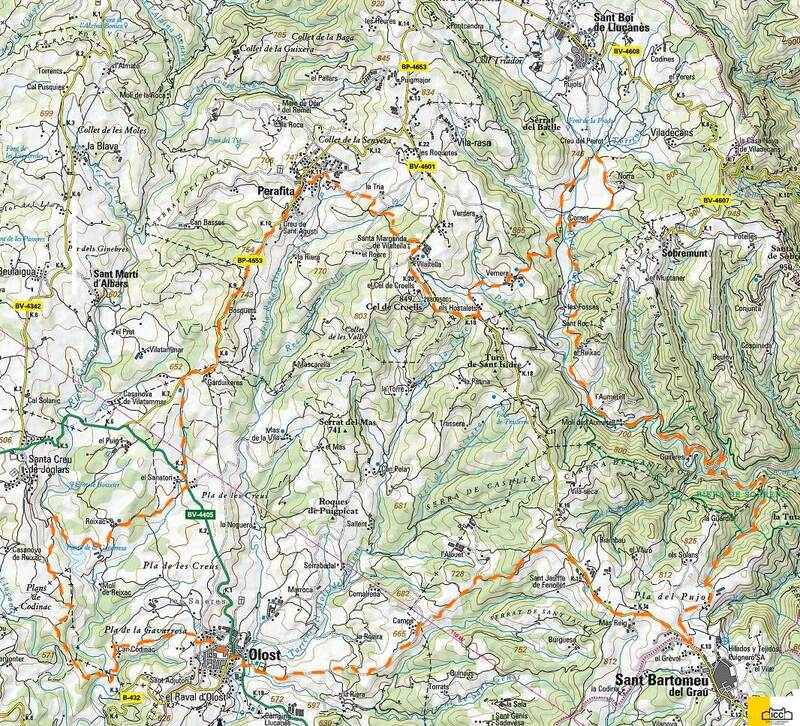 We will go parallel to the stream and when we arrive at the "Aumentell" will leave the btt route that continues towards Sobremunt. 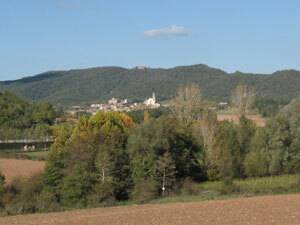 Us will follow straight for the same path towards Sant Boi de Lluçanès. 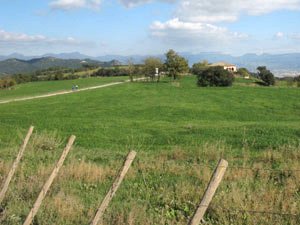 We can arrive to Sant Boi or pioneer the return towards Perafita following again the btt route until arrives to the road BV-4601 that we will take to the right and for the that we will circulate a kilometer and half approximately until finds the path in the left in Santa Margarida de Vilaltella, example of the Romanesque of the Lluçanès and beginning of the descent until the homestead of La Tria already on the doors of perafita. 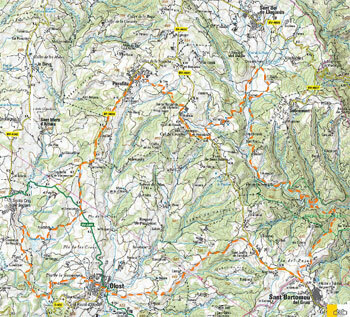 It is recommended to make this route using gps even though if it can not be ordered, the btt route that comes out from Olost that is very well signposted can be followed.